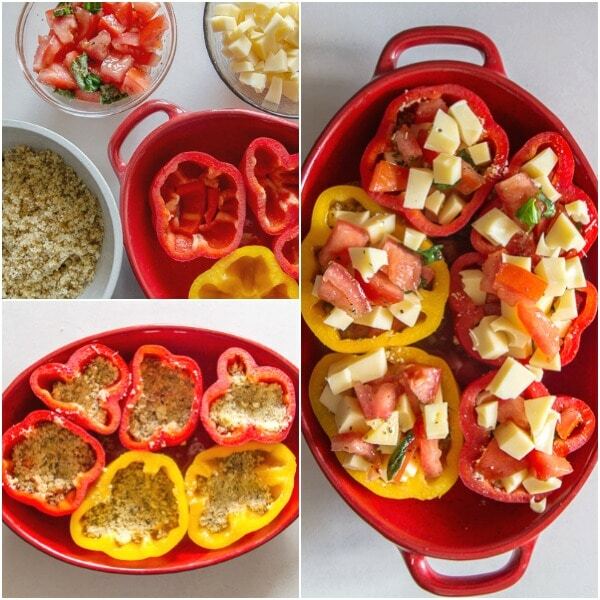 Easy Baked Stuffed Peppers, filled with an Italian herb bread crumb mixture and delicious melted cheese. The perfect main dish or appetizer! This past weekend a small group of us, friends who have become like family, spent three days discovering a few towns in the provinces of Umbria and Marche. This town was one of the most beautiful towns I have ever seen. 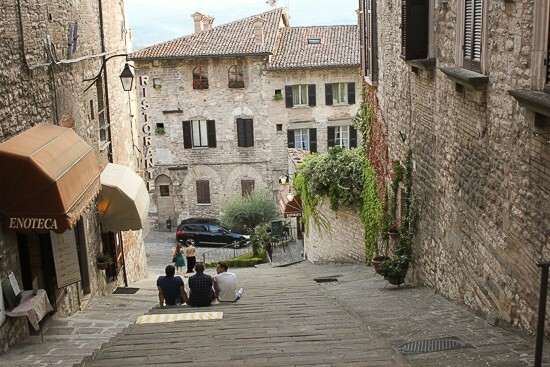 A sight to behold and a must see, Gubbio. 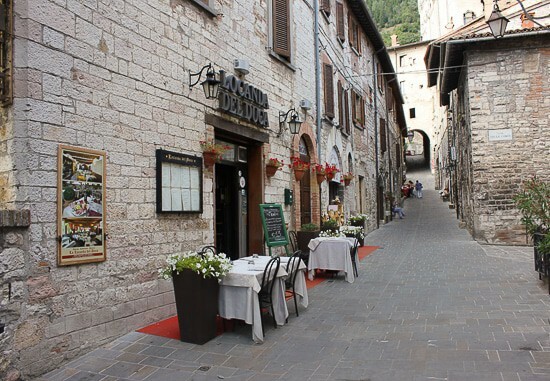 A quaint side street in Gubbio. 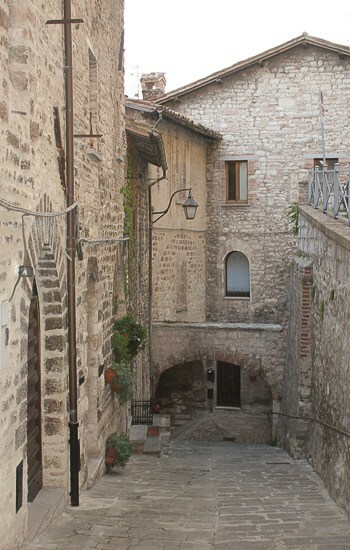 Gubbio is a medieval town and also the oldest one in the Umbria region. We walked through the old part of Gubbio and we saw churches, the Abbey, the palace and a lot of craft shops selling typical products of the region, such as leather, pottery and embroidery. 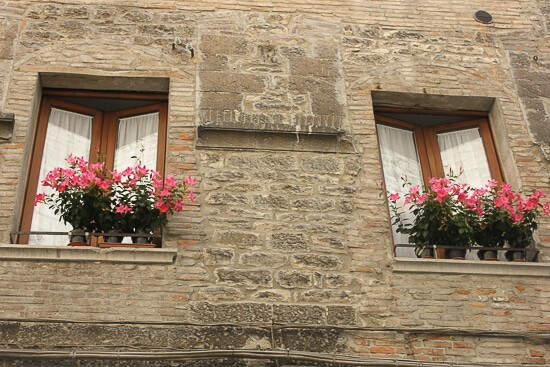 I could probably spend the rest of my life just discovering all these breathtaking, small towns in Italy. Maybe one day I will start doing just that. 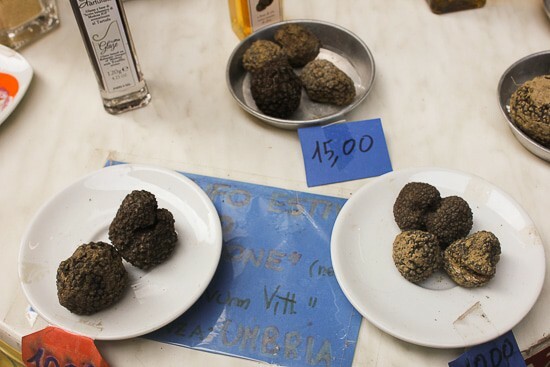 But for now I will continue to share my Italian recipes instead with all of you. 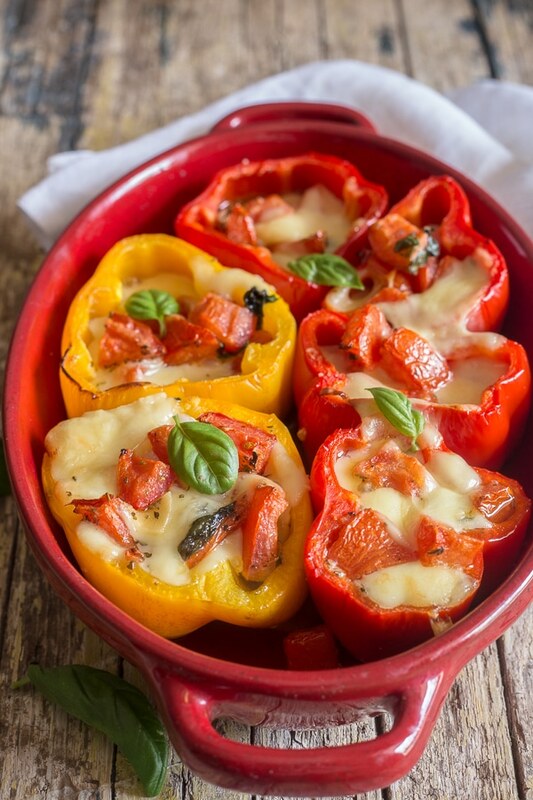 So what does baked stuffed peppers have to do with Gubbio? Nothing actually, although I do love both! 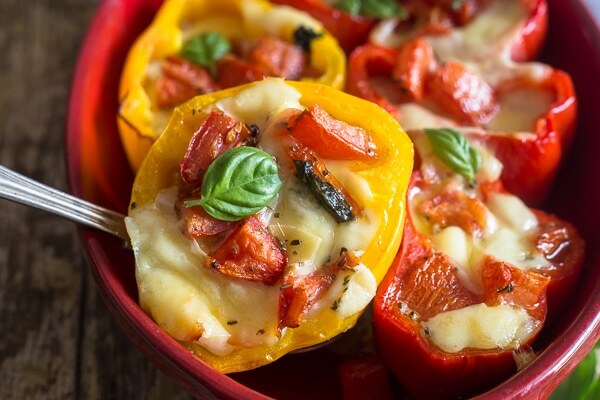 Peppers done this way are perfection, they’re tender and with a delicious cheese filling. 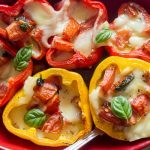 These Baked Stuffed Peppers are a delicious dish to make when you are looking for a meatless main dish or side dish! Buon Appetito! In a medium bowl mix together bread crumbs, parmesan, olive oil, salt and spices. 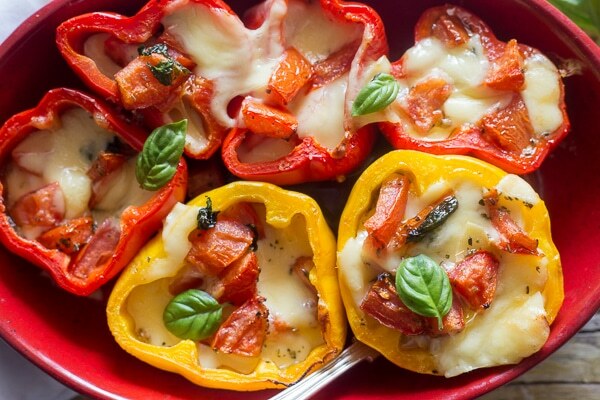 Cut peppers in half, and clean. 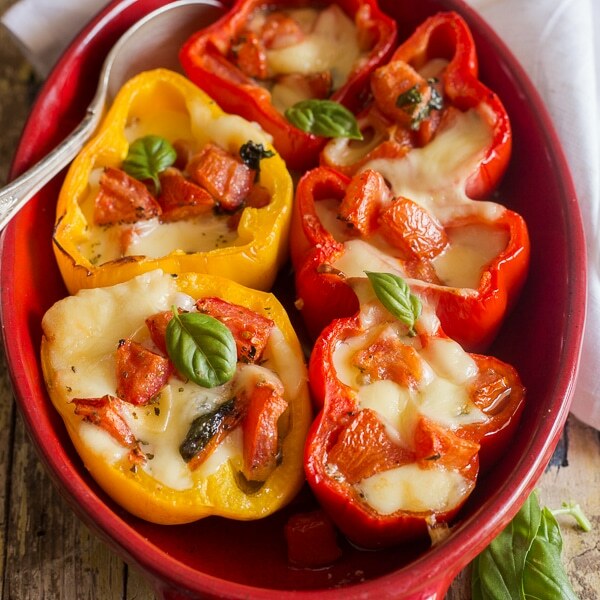 Bake in pre-heated oven for approximately 20-30 minutes, until peppers are tender. Serve immediately. Enjoy! Republished from August 26, 2014. Love your recipes!!! Though some ingredients like fresh parmigiano are hard to get (I live in mexico) But love them and love trying new things in my kitchen!